Attorney General Kathy Jennings was sworn in on January 1, 2019 and serves as Delaware’s 46th Attorney General. Born and raised in Wilmington, Kathy graduated from Mount Pleasant High School, University of Delaware, and Villanova University Law School, before joining the Delaware Department of Justice. As a prosecutor for the Delaware Department of Justice, Kathy prosecuted scores of domestic violence, sexual assault and homicide cases. She worked with fellow prosecutor Pete Letang, the FBI, New Castle County, and Delaware State Police to identify, arrest and prosecute a serial killer who tortured and murdered five women. This case marked the first time that DNA analysis was admitted into evidence in a Delaware Court. 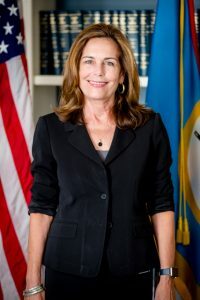 After years of service in the office, Kathy was named Delaware State Prosecutor and later went on to serve as Chief Deputy Attorney General for the Delaware Department of Justice under Attorney General Charles Oberly. While serving as Chief Deputy Attorney General, Kathy worked with Deputy Attorney General Tom McGonigle and Consumer Advocate Mary McDonough to create the Consumer Fraud Division, giving consumers strong protections against fraud and abuse. 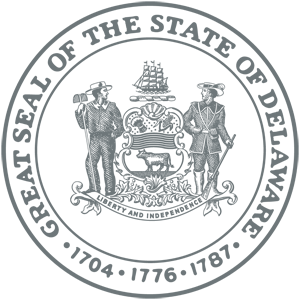 Following her tenure as Chief Deputy, Kathy and former Attorney General Charles Oberly entered private practice together, representing individuals and companies in criminal, regulatory and civil matters. 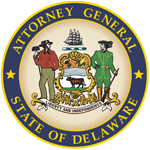 Kathy returned to the Delaware Department of Justice in 2011 to serve as State Prosecutor under Attorney General Beau Biden and later under Attorney General Matt Denn. Under their leadership, Kathy successfully sought legislation to end mandatory life sentences for people convicted of drug crimes and to restore driving privileges for people with drug convictions to enable them to work. During her tenure, Kathy worked with others to form the Crime Strategies Unit, whose focus is to engage with communities hardest hit by violent crime and blight to solve problems and restore trust. Kathy also worked with police chiefs to formulate Delaware’s model policy for police worn body cameras and secure funds to provide the lifesaving drug Narcan to police agencies statewide. In January of 2017, Kathy was appointed Chief Administrative Officer of New Castle County by County Executive Matthew Meyer. As the County’s second-in-command, Kathy managed more then 1500 employees and a budget of $284 million. During that time Kathy concurrently served as the County’s Public Safety Director, overseeing the New Castle County Police Department, Paramedics and 911 Communications. As Delaware’s Attorney General, Kathy Jennings is focused on making Delaware a safer place to live and raise our children, making the justice system fair and equal for everyone, and combating the opioid epidemic.